Christmas is coming sooo fast! I’m not sure why, but it always seems like December just flies by! Every yearI always wait until the very last minute to get any of my gifts. Which means, every year, I’m that crazy person that goes to the overly-packed malls a few days before Christmas and frantically tries to find the perfect gifts…I mean who doesn’t love shopping through massive crowds of people? I swear next year will be different!! If you’re lucky, you may have a very simple list or you might already know exactly what you’re putting under the tree this year, but for many people, such as myself, it’s always a bit of a struggle. SO, I’ve been trying to think of a great, last-minute gift idea that can be versatile for numerous people and I have to say I absolutely LOVE the idea of Fragrance! Choosing a new scent for someone can be such a nice, easy, yet personable gift. I really like that it can be something to give to your mom, your sister, your friend, and even most guys are happy with a new cologne. The other great thing is that there are such a wide range of price points that can easily fit any budget. 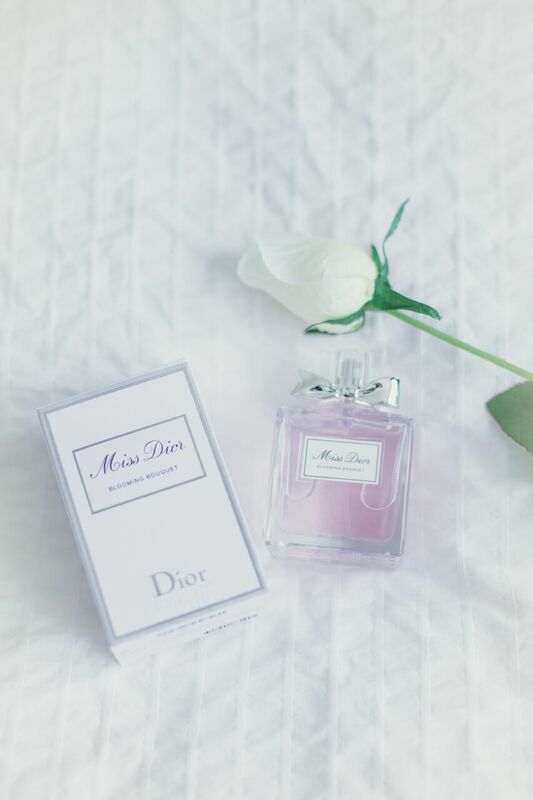 A few months ago I picked up this bottle of “Miss Dior Blooming Bouquet” at Sephora and I’m loving the new change. But what actually sold me on trying this new scent was finding out how great their return policy is. I’m always a little hesitant to spend a decent amount of money on something and then not have the option to change your mind (especially when purchasing a gift). SO it was super nice to know that they actually allow you to open and use the product to make sure it’s the right choice, and if not, you have plenty of time to receive an exchange or a full refund. Considering that’s not always an option at most places, that made me pretty excited! They also surprisingly, carry a great selection of men’s cologne. A major bonus to keep in mind when looking for that special gift!